2X, 3X & 4X sizes. 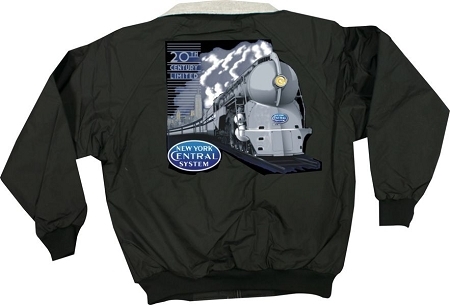 Here is a custom image Henry Dreyfuss' 1938 streamlined Twentieth Century Limited adorning the rear of a medium weight, water proof lined jacket. Stand out among your friends. We know of people wearing them in all climates. Retail price is $133.99. 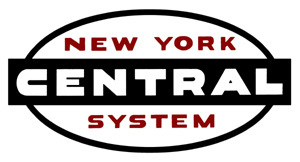 NYCSHS members receive 20% discount. Shipping is extra and Ohio residents must add 8% Ohio sales tax.